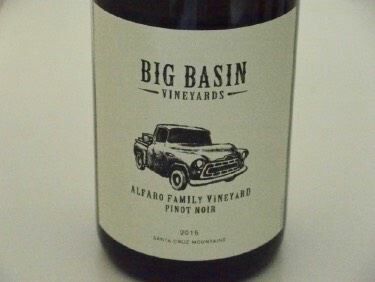 I am always intrigued by the Pinot Noir wines from Big Basin because they offer considerable nuance and individuality. They are not at all like so many Pinot Noir wines produced currently in California and therefore challenge the drinker. The aromatics are more savory than fruity, the textures are interesting, and the tannins well balanced. The wines even have a little of that “funk” that one experiences with fine Burgundy reds. This winery was founded by Bradley Brown and his sister Wendy Brown on an historic site next to Big Basin Redwoods State Park. The Pinot Noir wines are vnified in small lots using significant whole cluster fermentation, native yeast, and no additions other than sulfur dioxide after secondary fermentation is completed. 2015 was a classic, low yielding, high concentration vintage in the Santa Cruz Mountains according to Bradley. Years of drought followed by an early bud break and then spring rains reduced yields in most of Big Basin’s vineyards by 50% of normal. Summer was moderate to warm, bringing on rapid ripening during the harvest season. Winemakers had to be cautious to avoid picking excessively ripe fruit. The wines are sold through a mailing list, wine club and tasting rooms at both the estate winery and in the town of Saratoga: see website at www.bigbasinvineyards.com. There isn’t a whole to say about this iconic Oregon winery that hasn’t been written with boundless enthusiasm over and over. Winemaker and biochemist Steve Doerner has been at Cristom since its founding in 1992 and that is an eternity for most winemakers today. His style is influenced by his time at Calera and study under Jacques Seysses of Domaine Dujac in Burgundy before arriving at Cristom. Today, Cristom Vineyards consists of eight distinct sustainable vineyards on 65 acres in the Eola-Amity Hills. 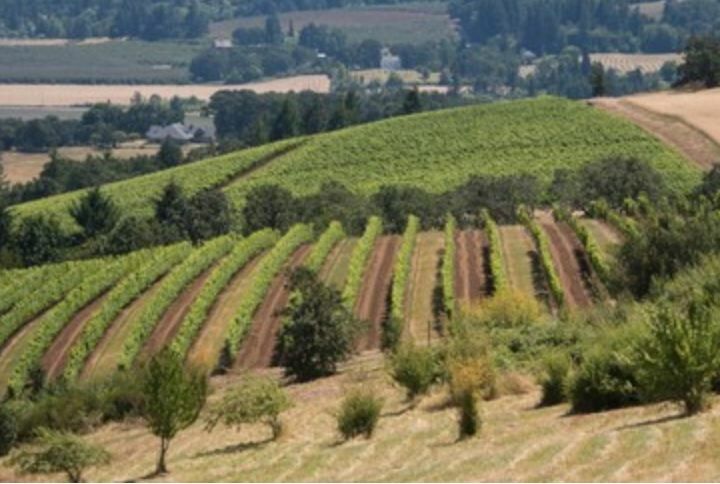 Four of these vineyards, known as “The Four Ladies,” include Marjorie (the only planting that was part of the property when it was acquired and the only vines planted on their own roots), Jessie, Louise and Eileen, and form the quartet of vineyard-designated Pinot Noir wines that has brought Cristom notoriety. The Cristom Pinot Noir wines combine Oregon terroir with a Burgundian sensitivity. The wines are produced with some percentage of whole cluster fermentation, a technique not in widespread use in Oregon. The wines are noninterventional, meaning native yeasts, no cold soak, no filtration, and minimal fining and racking. Because of the whole cluster inclusion, acid additions are often necessary. 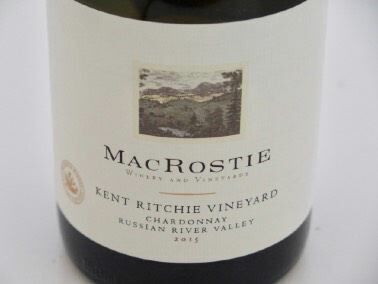 Perhaps even more unique than the Pinot Noir wines are the winery’s other varietals, all of which are outstanding: Pinot Gris, Chardonnay, Viognier and Syrah. The Syrah, produced from 1.25 acres of estate vines, was the first estate grown and bottled Syrah in the Willamette Valley when it was first released in 2003. 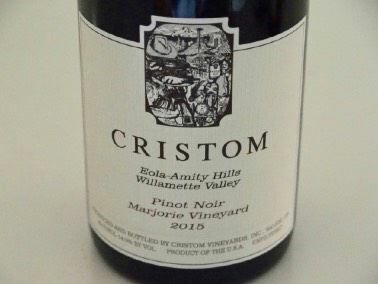 Cristom Pinot Noir is consistently the number one Oregon Pinot Noir sold in United States restaurants. Cristom wines are also widely distributed in fine retail stores and sold on the winery’s website. Despite the popularity of the wines, they are accessible to the consumer. You can book tastings including “The Cristom Experience” or “Picnic in the Vines” at www.cristomvineyards.com. Cristom is currently offering Vineyard Retrospectives, 2008-2013, for Marjorie, Eileen, Louise and Jesse Pinot Noir. In the 2015 vintage, bud break occurred in March, the earliest ever recorded at Cristom Vineyards and a full 3 weeks earlier than the winery’s twenty-five-year average. Warmth continued through spring, leading to bloom beginning in most blocks at the end of May (also the earliest ever recorded at the estate). Warm, dry weather during flowering led to a heavy fruit set and the vines produced sizable clusters with large berries. The result of the vintage growing conditions was a rare combination of abundant quantity and exceptional quality fruit. The 2015 vintage single vineyard Pinot Noir wines are highly concentrated and not as forward now as the 2014 vintage wines were at this stage. Decanting would be advisable if you plan to drink them soon. Better to lay they down for awhile while you drink the more accessible Mt. Jefferson Cuvée. Cuvaison is one of California’s most established and worthy wineries, dating to 1969. It was one of the first post-Prohibition Napa Valley wineries and played a key role in the evolution of luxury Napa Valley Chardonnay and Pinot Noir. Cuvaison also championed the recognition of the Los Carneros AVA. 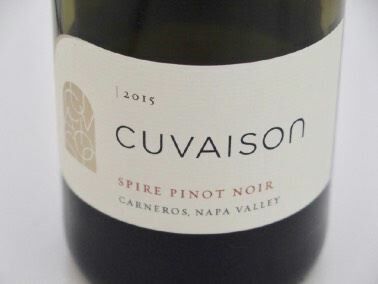 For the past four decades, Cuvaison has focused on estate grown Chardonnay and Pinot Noir from its expansive 200 acres of vineyards first planted in 1980. With 44 different blocks of Chardonnay and 20 blocks of Pinot Noir, the vineyards are one of the oldest and most diverse sites in the region. Over almost 40 years of farming, the Cuvaison team has developed a block-by-block approach to cultivating the vineyard. A few years back, Cuvaison unveiled their Single Block wines two of which are reviewed here. The wines are crafted by long-time winemaker Steve Rogstad, who designed the purpose-built Chardonnay and Pinot Noir winery. Visit the website at www.cuvaison.com. 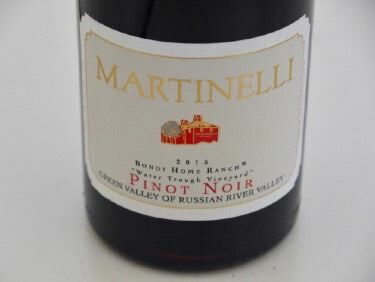 The Martinelli family are part of the historical fiber of the Russian River Valley. They have been growing grapes and apples in Sonoma County since 1887, planting their first Pinot Noir in 1970. Two historic hop barns grace the estate property on River Road that were converted into a tasting room and winery. The Martinellis began producing Pinot Noir under their own label in 1993, with Helen Turkey as the winemaker. Currently, Lee Martinelli, Sr., and his two sons, Lee, Jr., and George, oversee the management of 400 acres of prime vineyard land in the Russian River Valley and Sonoma Coast appellations. Helen Turley left her consulting winemaking position in 2010 and turned winemaking over to Bryan Kvamme. Courtney Wagoner, a veteran of winemaking stints at Wild Horse Winery, Gundlach Bundschu, and Alderbrook. She joined Martinelli as assistant winemaker in 2015 and was promoted to winemaker in 2017. Erin Green has been the consulting winemaker since 2010. I became interested in Martinelli many years ago, not because of Pinot Noir, but because of their Jackass Hill Zinfandel which I relished. As you can see from my website, I have not tasted many Martinelli Pinot Noir wines, in part because they have never been submitted for review. Many wines are sold on the winery’s website at www.martinelliwinery.com, with special bottlings only offered to tasting room visitors and long time mailing list members. All Martinelli wines are from estate vineyards. The Martinelli Pinot Noir wines have a distinctive style characterized by high extraction, fruit picked at higher Brix and resultant higher alcohols. Although the goal of winemaking here is to display the individuality of different vineyard sites, the hedonistic, fruit-driven style tends to obscure the terroir. That said, the wines are consistently lauded by the wine press with high scores and this piqued my interest enough to buy two bottles and see for myself. Since winemaker Dana Epperson has taken over, the brand has increased in quality by leaps and bounds for both Pinot Noir and Chardonnay. Dana does upwards of 50 individual Pinot Noir fermentations each vintage, with some as small as a single ton. Migration is now going beyond its Anderson Valley origins and exploring Pinot Noir and Chardonnay from other special cool-climate wine growing regions. The wines are cellared and bottled by Migration, Hopland, CA. 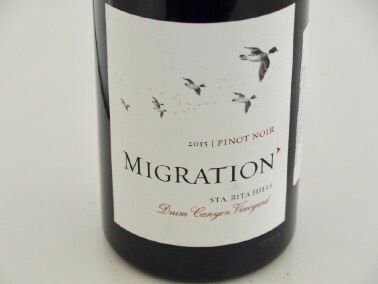 Migration is part of the Duckhorn Wine Company portfolio. Visit www.migrationwines.com. This winery, founded by Lance Mason in 2010, is a Santa Barbara County-based negotiant focused on Pinot Noir and Chardonnay. The wines offer outstanding value. Veteran Ken Brown in the winemaker. Wines are cellared and bottled by Windrun Vintners, Buellton, CA.. Visit www.windrunwine.com.